Jump To Target does exactly what the name says: It jumps to a target defined in the currently selected cell. The target may be a cell reference, a file, a program or a website. Enter a cell reference and jump to it with a click. 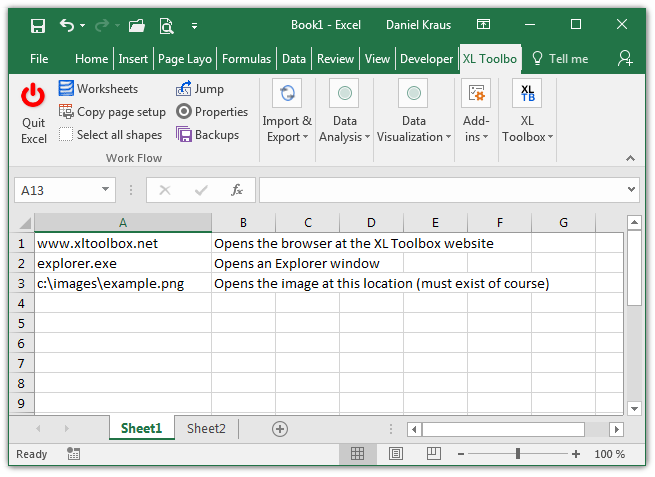 Use Excel syntax to include worksheet and workbook references, e.g. 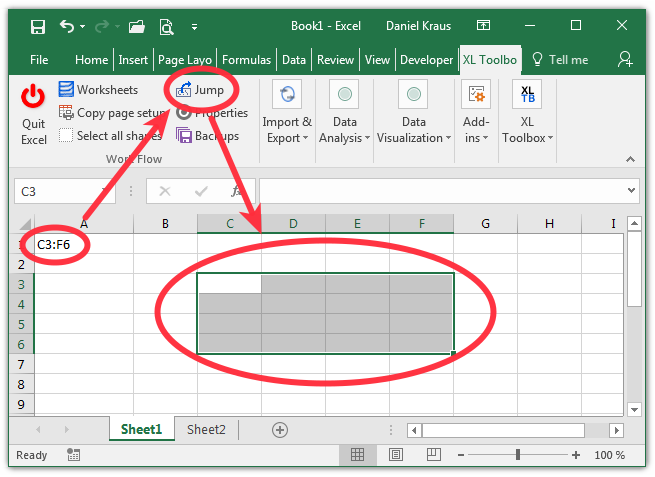 Note that Excel will convert URLs to links by default, so normally you won’t need the “Jump” command to open a website. However, if you have disabled the automatic URL detection in the Excel options, you can still use “Jump To Target” to open any website, even if it is not a link. The “Jump To Target” command enables you to easily link to further information that is pertinent to your work, or open helper programs with a simple click.